Maria Evelyn Grollo, who runs a grade school-turned shelter for more than 4,000 people on the outskirts of Legazpi, said some are defying the city mayor's order to stay away from their farms on Mayon's lower slopes. "In the mornings they go home, especially the men. But in the evenings they are here," she said, adding they easily cross into the danger zone on their motorbikes. "They just rush back to check their houses and their property," Grollo told AFP. There have been no reports of looting to justify the evacuees' actions, he added. "There are some people who don't want to leave but the local governments are forcing evacuations," he said. "The security (officials) are already talking about it, how they will ensure that it should be a no-man's land." "There is a place to put them," he added. 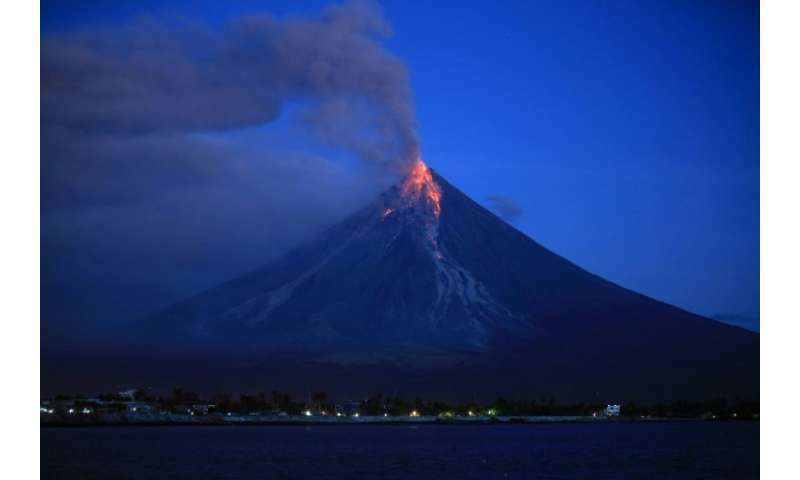 The Philippines is part of the Pacific "Ring of Fire" of islands that were formed by volcanic activity. 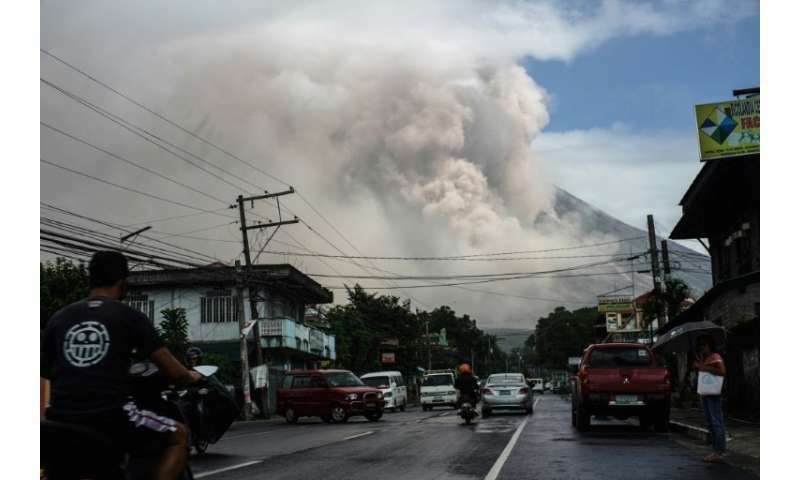 With 51 eruptions in the past four centuries, Mayon, a near-perfect 2,460-metre(8,070-foot) cone about 330 kilometres southeast of Manila, is the most active of the country's 22 volcanoes. "It's a unique phenomenon. It attracts visitors. It's just that the numbers are not that big because we were affected by the closure of the airport, she said, shutting down eight daily flights from Manila and Cebu city. Tourist arrivals in Albay province, which includes Legazpi, surged 20 percent from a year earlier in 2001 during the last major eruption of Mayon, which Colle said is the province's main attraction. 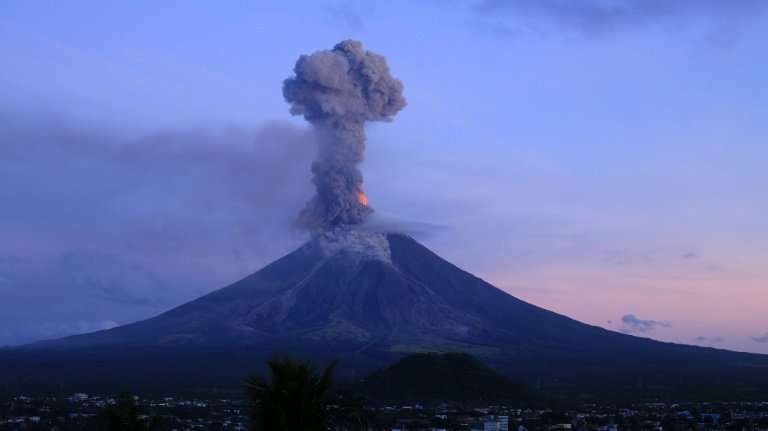 She said industry officials are hoping the latest eruption would generate a similar 20 percent jump from last year's total Albay tourist arrivals of 1.1 million.